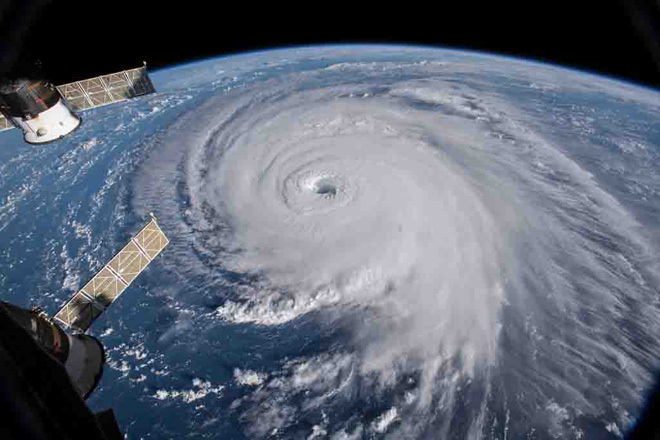 WILMINGTON, US: Dangerous Hurricane Florence edged closer yesterday to delivering a powerful blow to the east coast of the US, with forecasters warning of life-threatening rainfall and flooding even as it weakened to a Category 2 storm. The National Hurricane Centre (NHC) said that Florence’s maximum sustained winds had eased to 175 kilometre per hour and it had been downgraded to a Category 2 storm from Category 3 on the five-level Saffir-Simpson wind scale. 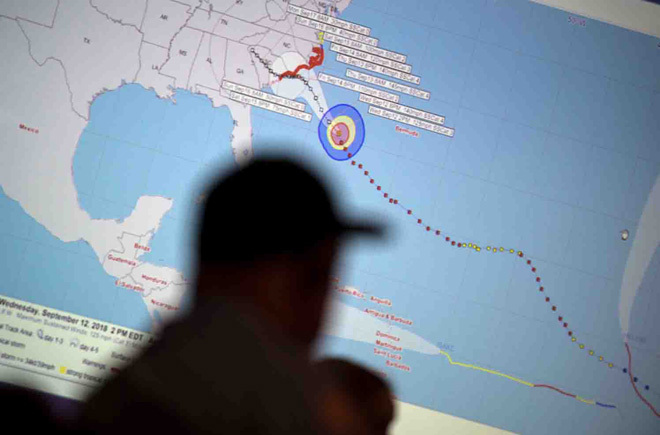 It was the second such drop in the space of hours, but the Miami-based NHC stressed it remained ‘a life-threatening situation’ due to the risks of storm surge around coastal areas. Florence is forecast to dump up to one metre of rain in some areas after it makes landfall in North and South Carolina. As of 200am, the eye of the storm was 375 km southeast of Wilmington, North Carolina, moving northwest at 17 mph. Georgia Governor Nathan Deal declared a state of emergency ‘in light of the storm’s forecasted southward track after making landfall’.